Ok, so we’re getting a helper/maid, but that’ll be the last time I refer to her as such. My foreign domestic worker (FDW), which is the legal title of the position, will be called “Mae” for the purpose of this blog. It’s been two whole months now and so much has happened in the transition of my thoughts in the short time I’ve been here. (I know. I know. Either you “knew it,” “can’t believe it,” or you don’t care, which would make me wonder why you’re reading my blog.) I haven’t had time to actually write about my evolution of thought and share it because my life is consumed with my new full-time roles. I can’t fully explain it because I don’t fully understand it. But, something about living away from your norms makes it so much more difficult to complete the simplest tasks and manage marriage and motherhood while finding any sense of balance for yourself, which I NEED. I used to read, write, meditate, pretend to exercise, enjoy my friends, and enjoy just myself. Now, literally from the time I open my eyes until the time they can’t stay open any longer, I’m serving someone else, or cooking something, or cleaning something, or running to get something, or doing something (mainly) for my husband or daughter. 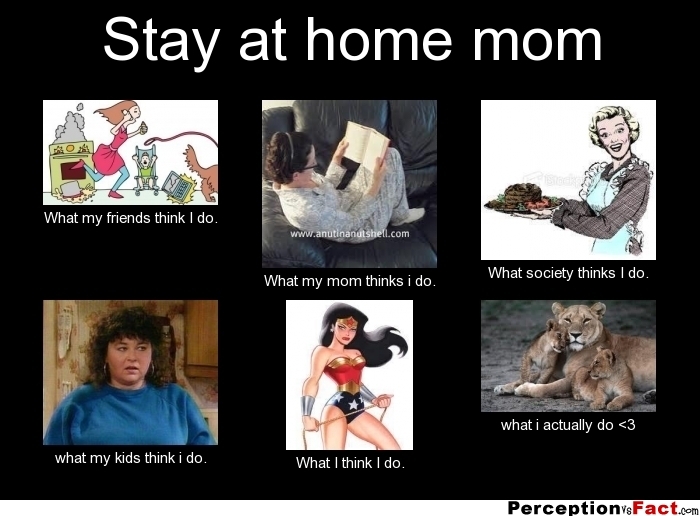 Of course, this is the typical life of a stay-at-home mom in the states or anywhere I suppose. Yet, here, it’s not just time-consuming; it’s life controlling. I’m not one of those SAHM that can juggle every task without a hitch and still find her Zen while looking like I stepped off a runway from Fashion Week. I’m more the “drop a few balls (or child) because I fell asleep while I was juggling, half-way to insane, looking like I’m almost stoned with blood shot eyes, but still rocking a smile for my baby” type. I realized before I ever took on either role, that I could not solely be a wife and mother. I’m a better version of both when I have my own outlets, whether they are professional or recreational. My outlets, especially my sisters by blood and those I’ve adopted along the way, replenish me. I actually found a wonderful group of women here, I like to call it a sister circle, with similar interests that I’d love to see more often, but time is restricted. My life in this wonderful, engaging, beautiful, once-in-a-lifetime setting is restricted. I’ve come to the, probably selfish, conclusion that my immediate need for balance, freedom, and my sanity is greater than my ability to completely shift the paradigm of Asian domestics and eradicate global poverty. My superpowers may be waning. I like a clean home; this you know. The phrase “cleanliness is next to Godliness” was drilled into me all my childhood. My semi-controlling nature makes me take it to the next level because I also like things moderately organized. Everything has a place and should be there. If you ever see my space out of order or messy, I’m not completely well. If you walked into my home now, you’d know I needed help. I still haven’t completely unpacked and I haven’t yet had every part of every room clean at the same time even once; just once is all I need to feel satisfied. This is tragic to me. My husband, on the other dirty hand, is not concerned about this as much as he is about our (lack of) personal time together. As clean, and I use this term loosely here, as he is for a man (you know exactly what I mean), the dirt could sit down with him and have a conversation, but he still wouldn’t notice it. He’s also on a personal strike from doing all of the concretely delineated household domestic duties he did in the states. “When in Rome…,” he chimes. He just wants to be able to live more spontaneously here. He wants to be able to whisk me away to Thailand or Malaysia or Bali for an extended weekend or just dinner on a Tuesday night without there having to be a conference call and bartering system set up to organize babysitting arrangements ahead of time. Under normal circumstances, this would excite me, but it just irritates me after a long exhausting day/week of entertaining and educating my kibibi. When I realized his romance was my annoyance, I knew I had to do something. When I laid on my couch, (which finally just arrived), staring at the ceiling fan on my high vaulted ceilings that I’m too nervous to reach and noticed the fan looked like it was trimmed in something that I had eaten, digested, and excreted, I knew that something was a someone. Help in Asia comes in the form of predominantly Filipino or Indonesian women from 16 (those who lie and say they’re 18) to about 50 who leave their homes, families, and support systems and come to live with you, strangers, to become yours. 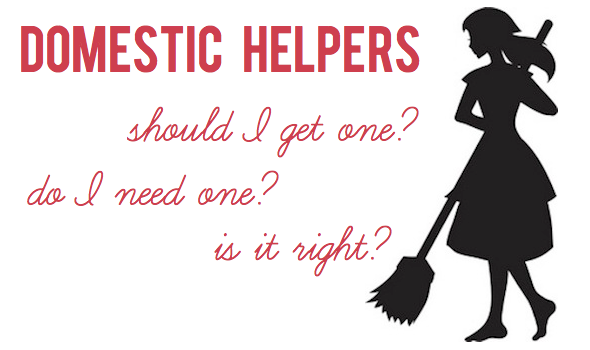 They’re called “helpers.” Not maids, though they cook and clean your home to your liking. Not assistants, though they can be trained to assist you personally and professionally. Not nannies, though they care for, and in some households raise your children. They’re called “helpers” because they help with EVERYTHING. And, just about everybody has one, especially families with children. When I first arrived, it was assumed that we had one already waiting for us. People were inviting us out for the evening, assuming we could leave our daughter with the help(er). 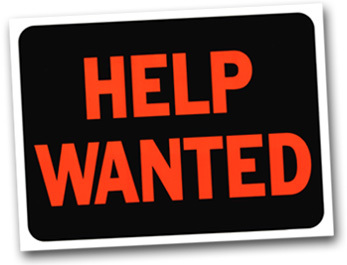 In fact, every week since we’ve been here, we’ve gotten multiple invitations to attend events that are not child-friendly with the thought that, “surely you have a helper by now.” Wow, really? Really. Before my husband and I made the move, we were made aware of this helper phenomenon and we agreed that it was not something we needed and it was too reminiscent to our ancestors’ plight. We just couldn’t take a woman from her family and expect her to live with us and serve us six days a week (most get at least one day off a week, but some only get one day off a month! ), 24 hours a day under the guise that we’re giving her a better life because we’re freeing her of the criminal level of poverty in her home country. We would not be like the oppressors of our ancestors. We could handle and take care of ourselves. We’ve been doing it. This will be no different. Right? Right. We were on the same page. Then, he moved here….first. All of a sudden, he was struggling to take care of himself by himself. By the time I got here, this man was convinced that the only way we could survive was by getting a helper. Remember the state of the home I walked into upon arrival. (See “Singapore Nice.”) And now, a month and change in, I’m torn about it. It’s frustrating because I honestly can’t singly identify what’s so different about living here that makes me so much less productive during the day. I’m certainly not idle, but I just can’t get everything done, as it seemed I did in the states. That’s why these blog posts are so sporadic and infrequent. I’m always tired, and if it stays this way, we won’t be able to enjoy this incredible opportunity to its fullest. Now, if we had moved to say Iowa, where we know no one, we still wouldn’t consider hiring a live-in maid/assistant/nanny. We’d just make do, and that would be that. But, we wouldn’t have Bali at our doorstep, or Thailand, or India, or all of Asia and many parts of Africa and Europe just a short and cheap flight away from us. We wouldn’t be living in one of the most beautiful places I’ve ever seen with a thriving and romantic nightlife. And, for all intents and purposes, we’d still be “home” where everything would at least be somewhat familiar. I could find a Target or something akin to it. My paternal grandmother, Big Mama, and great-grandmother cleaned the homes of affluent white families in Georgia, among several other jobs, to help provide for their families. They would leave before my father and his siblings awoke and return home close to or after their bedtimes. There, they would enforce the standards of maintaining an immaculate household, always reminding their children to honor their labor by respecting their home. My father can recall few memories of quality family moments with his parents from his childhood, which is why those he can are even more valuable. Yet, he certainly remembers their lessons of the importance of work ethic and respecting that which you do have. By the time I was in elementary school, Big Mama and my granddad had turned this job into a small business and cleaned several offices after their official day jobs, with me alongside them emptying trash cans, dusting off desks, sharpening and stacking yellow number two pencils neatly in gray cups with the lead pointing up like a cylinder of slate needles. I remember thinking they must’ve been so important to have the keys and be able to enter these big buildings in the dusk of evening when no one else was there. It was like we were invisible. I remember being proud. I remember feeling accomplished. I remember them being exhausted. It was later that I realized that their invisibility was not a superpower, but a necessity as to not upset the environment of those who employed them. I also realized they didn’t enjoy it nearly as much as I did as a child. Much like the characters in the book and film, “The Help,” they did what they HAD to do, not what they wanted to do with their lives. Choice was not afforded to them, as it was not afforded to many of my ancestors. Tasks and jobs were done as a means of survival, not fulfillment. My whole life’s work now is about helping others find what fulfills them through living with purpose. I motivate people all over the world to tap into their potential and seek to pursue their passions. I do this through my own multi-faceted company, while raising a child, educating her, and caring for my household. I’ve only been able to do this because of my grandparents’ and ancestors’ sacrifices and the assistance of those around me. In the states, it was possible to “do it all” with a support system of family and friends who were but a phone call away from being at my door step. The convenience and accessibility to everything I needed and familiarity with home also has been a tremendous help in doing what I WANT to do. Now, I live in Singapore; a country, but also on a continent I’ve never seen outside of a map, “National Geographic,” or “House Hunters International.” Nothing is familiar or easily accessible by comparison. They have great shopping, efficient public transportation and all, but I mean they don’t have Target for goodness sakes! They don’t have one place that I can go that has a plethora of high quality products at reasonable prices. (hmmm, business opportunity) There’s Mustafa, the nine-story megastore connected by an overpass in Little India that sells everything from cereal to diamond tennis bracelets. But, I get lost in the store every time I go, the lines are always wrapped around the building, and the quality is not always the best. Cereal shouldn’t crawl in your bowl. Since I’ve been here, I’ve been overwhelmed with getting the house in order (still not done), managing my rambunctious toddler, normal everyday household duties (that require a full day to complete), exploring a new country, and figuring out what I’m going to do with my life while I’m here to maintain some sense of sanity. We’ve met many new wonderful people, but there’s nothing like family or at least friends who are like family that you can trust to watch your little one while you say, use the toilet in peace. (She’s my shadow.) I recognize I need help.